Griffith University has a number of plans, policies and committees regarding our First Peoples—Aboriginal and Torres Strait Islander people. Key goals of this plan include improving the retention rate of Aboriginal and Torres Strait Islander students and increasing the number of Indigenous staff in academic and general staff positions. Our RAP initiatives, which span collaboration and engagement, leadership, research, learning and teaching, have been developed to form part of the University’s strategic goals. A key element of this plan is to ensure we recruit and support the academic success of Aboriginal and Torres Strait Islander students and other groups who have had low participation in tertiary education. This plan has been devised from a framework of social inclusion and builds on our history of commitment to equality and diversity. See all of Griffith’s policies at the Griffith Policy Library. We remain committed to advancing Aboriginal and Torres Strait Islander policies, and linkages exist with national and global representative, collaborative and consultative groups. Discover more about our Indigenous policy development. This committee provides policy advice and implementation to improve equity across the university. This committee aims to increase university enrolment of Aboriginal and Torres Strait Islander students and enable the Indigenous Australian community to contribute to decisions on Aboriginal and Islander education. Griffith strives to be an employer of choice for First Peoples. Professor Boni Robertson was appointed to the position of Professor of Indigenous Policy in November 2006 after working as the Director of GUMURRII. Professor Robertson is committed to enhancing Griffith's well-established Aboriginal and Torres Strait Islander policy, community engagement and community partnership portfolios. Professor Robertson has held senior appointments at The University of Queensland, was State Chair of the Ministerial Indigenous Education Advisory Committee and has co-authored and authored many state, national and international reports on Aboriginal and Torres Strait Islander affairs. Professor Robertson's main research interests include social policy, health, law and justice, and community development. Her work has a strong emphasis on identifying proactive, solution-oriented interventions that enhance life circumstances for Indigenous peoples. 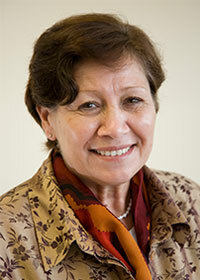 In 2007 Professor Robertson was appointed to the Indigenous Higher Education Advisory Council. She sits on a number of state and national committees, including the Australian Multicultural Council, the Murrii Court in the Queensland Magistracy, the World Indigenous Network Higher Education Consortium (WINHEC), and the National Network of Indigenous Women’s Legal Services. Professor Robertson's many achievements have seen her recognised as a respected role model for Aboriginal and Torres Strait Islander people, with a solid reputation within Indigenous and non-Indigenous communities for her tireless commitment to improving Australian race relations. Queensland Magistracy through Murri Court. In the last five years, Griffith University has rapidly moved up the international university rankings and is now well-established in the top 2% of universities worldwide. It has received more Australian Awards for University Teaching than any other university, including three Australian University Teachers of the Year in the last decade. Griffith was second ranked public university in the 2016 Quality Indicators for Learning and Teaching (QILT) survey for student satisfaction. The University has experienced a period of rapid growth, and is now well-established as a provider of high quality online learning. Our students continue to come from a diverse range of backgrounds, and our 200,000 alumni are making a significant difference to their local and global communities. These are indeed remarkable achievements for a young university. Griffith University is currently facing many challenges, as well as significant opportunities. Federal Government funding remains uncertain, and we are seeing increasing competition for students from not only other local and international universities, but from non-university providers. The Tertiary Education Quality and Standards Agency (TEQSA) introduced the Higher Education Standards Framework on 1 January, 2017, with new compliance requirements for the tertiary sector. 2020 will see a partial-cohort of students entering university – a consequence of the introduction of the preparatory year of schooling in Queensland. The reduction in student load over the following 3-4 years could be significant. Disruption as a result of technology will impact virtually every workplace to the extent that a very significant proportion of jobs will disappear or undergo substantial transformation in coming decades. Griffith has always been an innovative, forward-thinking university. It is now very well placed to respond to these challenges and take advantage of the inevitable disruption to higher education. Over the life of the Academic Plan 2017 - 2020, we can expect to see dramatic changes in the way we deliver learning, teaching and student support as a result of rapid uptake of technologies such as artificial intelligence, cognitive computing, adaptive learning and data analytics. These technologies will allow us to provide a more personalised learning experience, at scale, to all of our students regardless of their location. With the speed of change that will impact every workplace, it has never been more important to ensure students acquire the skills, knowledge and experiences necessary to succeed in their chosen career path. And increasingly, that career path will include self-employment, as graduates respond to opportunities to innovate and set up their own businesses. The agenda that is set out in the Academic Plan 2017 – 2020 will underpin our goal to deliver a remarkable student experience that prepares students from diverse backgrounds for life after university, at scale, equitably and sustainably, across five campuses and in the cloud. Achieving this goal will depend upon the commitment and talents of staff from every part of the University, effective collaboration between academic and professional staff, and genuine engagement with students to fully understand their aspirations and goals. We will experience many disruptions over the life of this Academic Plan. But one key principle will not change; we will continue to put students at the centre of everything we do, to ensure they have a remarkable experience and go on to succeed in their chosen career path. I look forward to working with you over the next four years to implement the Academic Plan 2017 - 2020.